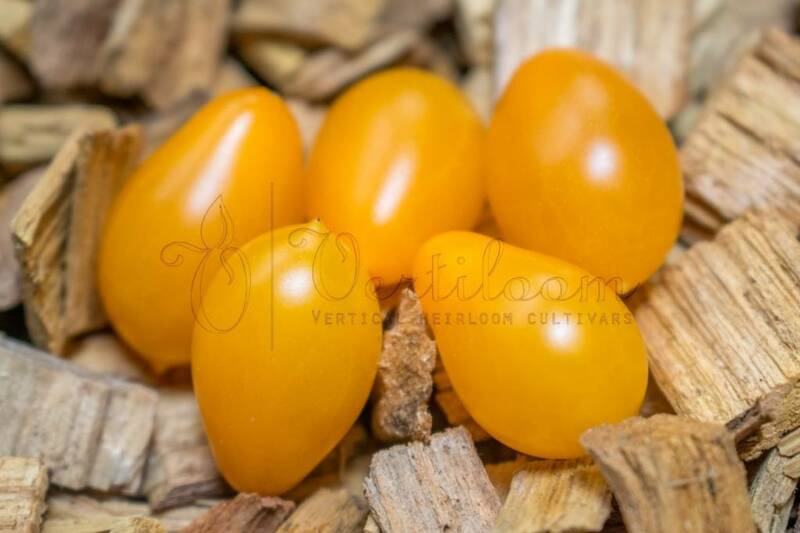 Wild heirloom (Solanum Cheesemannii) from the Galapagos Islands. Collected by Sarah Darwin, great-granddaughter of Charles Darwin. These tomatoes were growing along the shore of the ocean, growing almost in soilless conditions. 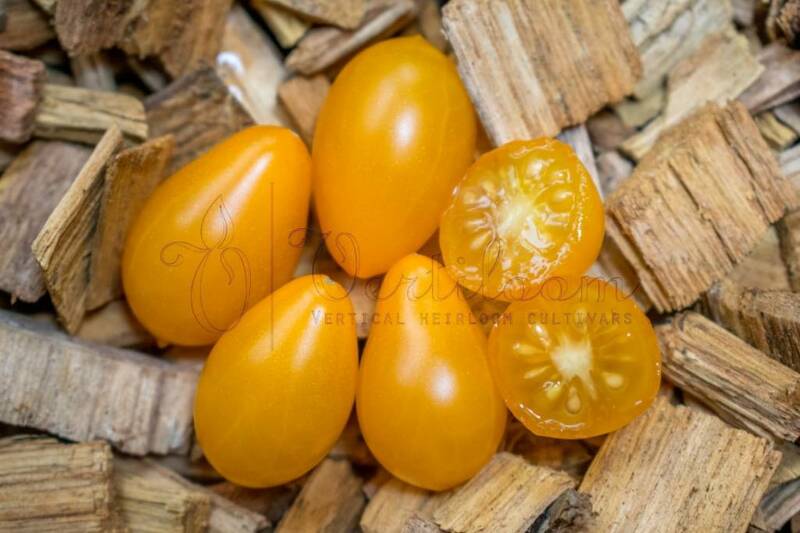 This variety is known under several names: Cheesman's, Cheesmanii, Cheesemann, Galapagos, Galapagos Island. 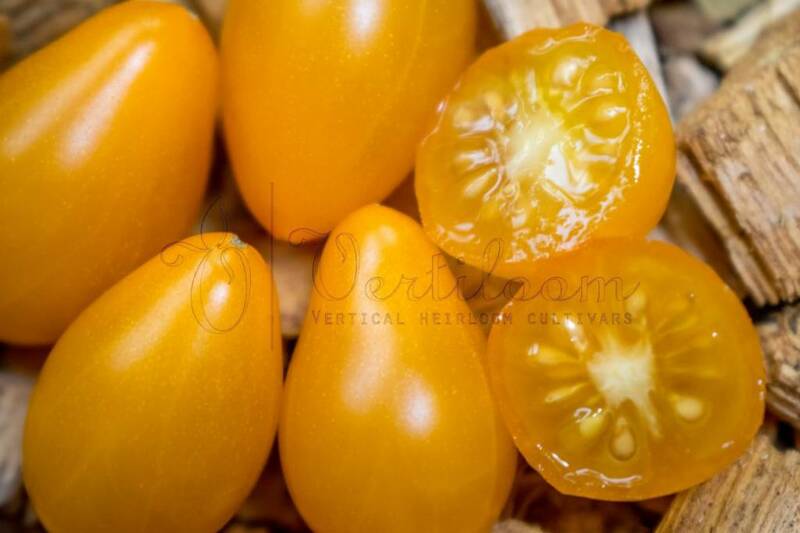 Yellow orange small oval cherries, substantially oval / pear-shaped ending in a small tip, 2 to 2,5 cm. A crunchy bite texture with a spicy and sweet flavor. Indeterminate vigorous plants from + 2,1m - 7ft in height. Extremely big yields of large clusters. Early, strong and trustable. Adapated to rough weather conditions.